XLS Medical Carb Blocker is part of the range of XLS Medical supplements. Also included in this range, are the Appetite Reducer and Fat Binder products. XLS Medical Carb Blocker is designed to assist people who simply can not stop consuming their carbohydrates (carbs). If the manufacturer’s claims are true, then this product will help to reduce the calories absorbed by your body from particular carbs. Lets take a closer look and see whether these claims do indeed stack up. 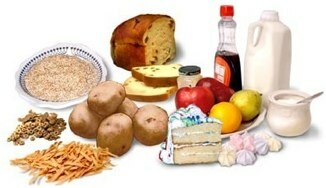 If you enjoy potatoes, pasta, bread, rice and cereals, then you are probably consuming lots of carb calories. This is something which standard fat binder pills – that solely concentrate on the calories absorbed from fat – can not assist you with. The manufacturer claims it will lessen the calories that you absorb from dietary carbs, particularly slow sugars. Although the carbs we consume are primarily utilised for energy, in the more sedentary modern world, it is common to consume more carbs than we require, relative to our expended energy. Consequently, the remaining carbs turn into fat. Less carbs digested leads to less sugar absorbed, and thus less sugar stored as fat. Carbs that are not digested are released in stools. Swallow two or three pills two to three times daily, but do not take more than six in one day. 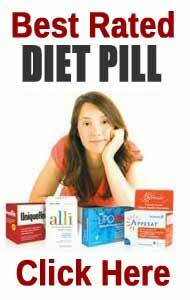 Most diet tablets work on fat, rather than carbs. This supplement specifically targets individuals who struggle with their intake of carbs. The manufacturers claim a reduction of 66% in slow sugar carb absorption. The pills feature a vegetable source that has not been genetically modified, and they allow you to carry on consuming the foods you like (although a sensible diet is advised). Users are encouraged to lower their portion sizes as well. So, a little effort is still needed if you wish to slim down and stay slim. XLS Medical Carb Blocker can only work on slow sugars (pasta, bread, potatoes, rice) and will not work on Monosaccharide carbs. Therefore, if you normally obtain your calories from biscuits, sugar, pastries or chocolate this supplement can not assist you. Also, carb blockers will not stop protein or fat calorie absorption. Thus, if you usually eat high protein or fatty foods, this will not assist you either. 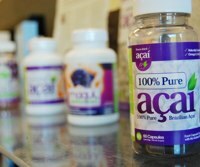 Contains: micro-crystalline cellulose, magnesium stearate, PhaseLite, calcium triphosphate and fructo-oligosaccharides. The XLS Medical brand has received quite a lot of media attention. However, as with the customer reviews (see below), this tends to relate to the Fat Binder product, rather than the Carb Blocker. The Calorie Reducer product has been featured in the Daily Mail, and normally the media coverage of the brand is timed to coincide with the New Year “slimming season”. Although there are not any severe side-effects reported, carb blockers usually have several embarrassing and undesirable side-effects. These include excessive gas, which might or might not be accompanied by abdominal tenderness and bloating. This product should not be taken by children under twelve, breast feeding or pregnant women, or by people with a BMI of under 18.5. There are hardly any customer reviews about this product online. Most of the customer feedback on the web seems to relate to the XLS Medical Fat Binder, rather than this supplement. There is one customer review on Amazon, which says that the product was nicely packaged and delivered in good time. However, the customer claims that she can not use the product, because the dosage information leaflet is not written in English. Apparently, she emailed the suppler for advice, but did not get a response. There are those who question the merit of carb blockers generally, and claim that slow absorption rates do not always produce weight loss. However, theoretically, carb blockers can be useful for dealing with carb calories, providing you also adopt portion control and monitor what you consume. 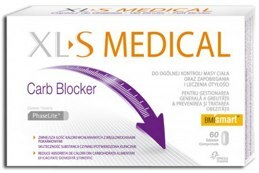 XLS Medical Carb Blocker is a bit of an unknown quantity in the United Kingdom. So, if you do wish to use a carb blocker, rather than a fat binder, then you might want to search for one which has been sold in the United Kingdom for longer, where more reliable customer feedback is available. 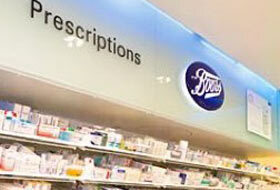 Available to but from reputable suppliers online such as Boots, Chemist Direct, Pharmacy Direct And Express Chemist. 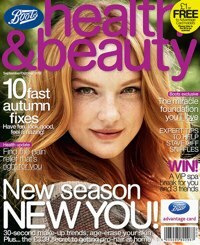 Also available over the counter at major high street chemists and pharmacy chains. A product that has received an unprecedented amount of positive publicity is PhenQ. 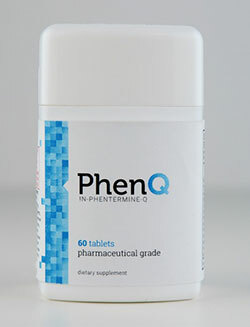 PhenQ is a completely natural commercial pill that can not only burn excess fat but stop the production of unnecessary fat cells. It is produced In the UK and has been critically acclaimed by many sections of the health fraternity. I think, you overlook vegetarians as potential users. I just learned about it the product. And my problem is exactly carbs.I and many other vegetarians exactly have problems loosing weight without , and that is without overindulging in pasta and bread, but because we have to have our protein from pulses, the carbs become a problem. It is totally overlooked by dieticians , even though it is wellknown. Many of us cannot tolerate tofu, and eggs you can only eat so many of, as well as milk products, so left are then the carbrich pulps! So I am going try it. Hi was just wondering if you did try and did it work?